When a man becomes nonagenarian, such a man already embodies a legacy. Yet, a legacy is never an unqualified good. There are several who have passed through this world, and we hope to never ever see them again. And yet, there are those who are still alive and kicking, and we keep praying and hoping to have them with us forever. These kinds of people embody the legacy of a life well-spent. There is no one who has come in contact with Reverend Samuel Titilola Oladele Akande—father, husband, pastor, teacher, author, educationist, Doctor of Philosophy, die-hard Baptist and grand nonagenarian—who will not immediately recognize that he or she is standing in the presence of an embodied legacy divinely scripted and delivered to the world by the Almighty. Papa Akande is truly a continuum whose very life reaches out and deep into the hoary past of not only those who carried Christian values and the torch of Christ, but also those ancestors that embodied the best experiential insights the Yoruba culture could teach. This is just one of the reasons why it is a living blessing to have the 93 old Papa with us still, and to keep joyously celebrating every year that meets him on earth. I am especially gratified that I could appropriate Rev. Akande by an intimate kinship and excellence trajectory that ties both us, as well as Rev. 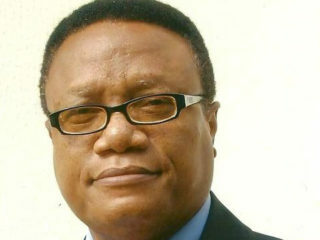 David Aibinu Olaopa, Rev. 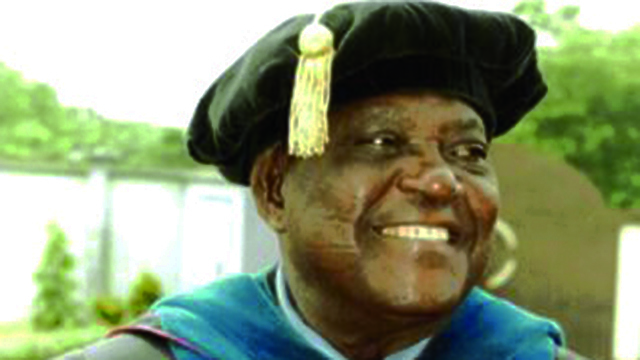 T. A. Adejumobi, Dr. J. A. Adegbite, Prof. Ojetunji Aboyade, Prof. E. Latunde Odeku and so many illustrious others, to Aawe—that small town of small people with mighty vision. I once had the good fortune, indeed one out of many, of benefitting from this trajectory of excellence. I had attended an interview at Niko Engineering Co. Ltd. owned by the late Eruwa-born billionaire, Chief Adeseun Ogundoyin, to whom I was recommended for a job as his Research Assistant. This was far back at a time when I was still struggling to earn a living. I was eventually appointed as General Manager (Corporate Services). What was remarkable and a testament to how much that generation upheld meritocracy, was that Chief Ogundoyin later sent for me when the report of my sterling performance at the interview got to his desk. The first name that got out of his mouth was Rev. (Dr.) Ola Akande whom he regarded as a mentor by dint of his deep theological scholarship and how the grace upon his ministry greatly inspired his life, his business and his unquenchable thirst for knowledge as a Baptist and an intellectual-entrepreneur in his own right. “I shouldn’t really have been surprised when I heard that you are also Aawe-born, as virtually all my Aawe friends I have are great minds and accomplished professionals” he concluded. Indeed, Reverend S. T. Ola Akande is a towering figure and exemplar of all that the Aawe parents invested in their children. Of course, when on March 31st 1926, Papa Daniel Oladele Akande and Mama Susannah Ayannihun gave birth to a wailing little lad, no comet blazed the sky to herald the arrival of a star. But both of them made a decision to invest in him the best of education they could afford, and the best of Christian upbringing they could inculcate in the impressionable mind of an eager boy. This is a life that reaches very deep into the heart of humanity and deeper still into the heart of God. It is indeed a life that is solidly comforted and supported by the everlasting love of a woman—Mama Comfort Olalonpe Kehinde. A woman that stays with one for all of one’s life as pillar and embodiment of virtues as mama, now 87, is the diadem of one’s life. They have been together since 1956 when they got married. From an early age, and through the dedication of his parents, Papa Ola Akande had been connected with the Baptist Mission. While serving as a teacher at a Baptist school in Ghana in 1949, God started tugging at his young and yearning heart. Once Baba made up his mind to answer the call of God and enrolled in the Nigerian Baptist Theological Seminary at Ogbomoso in 1952, he set his face to a lifelong trajectory of educational and Christian service that has been without blemish. Pastor Ola Akande made a huge deal out of his ministry. For him, what is worth doing at all is worth doing well. And right from the onset when he took up the pastoral responsibility, he also cultivated a perspective that is different because it was founded on a different understanding of the values that Christ represents. Pastor Akande began to immediately make a good impression with his sermons (and of course laced with his impressionable Oueen’s English). These were always well-composed, deeply researched, and well-delivered but fiery sermons that hit right to the hearts of evil and wrongdoing. These were messages I would leave Aawe town very early on Sunday mornings to listen to at Orita Mefa Baptist Church, Ibadan. Listening to his sermons planted the seed of the thirst for a deeper understanding of the Scripture that led to my earning a Diploma in Christian Theology. I am not sure I am the only one that was so deeply inspired to learn more. I am definitely also not the only one that Baba’s sermons castigated. From the Ebenezer Baptist Church in Lagos to Orita Mefa Baptist Church, Baba Akande was the scourge of those who would not be single-minded in their worship. He takes Christ’s admonition in Rev. 3:15 seriously: “I know your deeds, that you are neither hot nor cold. I wish you were either one or the other!” And so, those who wished to have one leg in cults and fraternities and another in Christ, Papa combatted from the pulpit, and at great danger to his life. But it was a confrontation that was tinged with Christ’s compassion. It was this different spirit that enabled him recalled some Ogboni Fraternity members that the church had excommunicated. He trusted that the Word of God has the power, more than excommunication, to reach deep into their hearts. That different Christological perspective worked; those members eventually openly renounced their Ogboni membership and became hot, as Christ hoped they would. The academic strength and the theological commitment of Pastor Akande’s sermons later became the backbone of Dr Akande’s many books on many subjects dear to the power of his critical brain. His book, The Courage to Live (1986), came out of 69 sermons preached over the span of 40 years. And eleven other books followed in rapid succession. 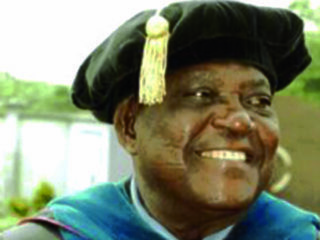 Dr Akande’s thirst for knowledge is insatiable. And knowledge, wrapped with Christ love, is to be deployed for the transformation of human community. No one can say where Baba’s reformer’s spirit derived from. May be there is a level of deep and meaningful education that opens up the vistas of alternative scenarios. From a Grade A student at the Baptist Theological Seminary in 1952, he became a Grace A doctor of philosophy in New Testament in 1973. By the time Dr Ola Akande had amassed his requisite knowledge, it was time to bring an intellectually sound and scripturally logical reform to the churches he pastored as well as to the Nigerian Baptist Convention (NBC) where he became the president and later the general secretary. The sobriquet of the “Archbishop of the Baptist Church of Nigeria” came from his deep intellectualism and farsighted reform programmes the like of which the NBC had never seen before then. Baba has always been a fighter. His many congregations over the years will attest to that. His many books about the Christian homes and Christian families speaks volume about his godly passion. But he is a fighter with a deep spiritual cause not only for his first constituency, the Baptist Mission in Nigeria, but also for Nigeria. With the NBC, he was an institutionalist with an eye for productivity. Only an institutional reformer will immediately see the immense reform capital inherent in staff welfare in an organization where people believe you are “working for God” and hence there is no need for appreciation. He also has the sturdy thick skin of the reformer that does not make him flinch at oppositions. And Baba Akande was individually and collectively opposed. But how do you dissuade someone with a vision? How do you oppose someone who sees differently? He implicitly understood the two fundamental pillars of productivity—incentives and professionalism. With the appreciation service and commendations for serving ministers, pension/gratuity scheme for retired pastors, and an enlarged salary scale for all workers, Dr Akande brought a different and radical institutional reform to the NBC. And since an upward salary review commensurate with the civil service framework must also be accompanied by a clear-cut performance benchmark, Dr Ola Akande put together a booklet to guide the conditions of service in the NBC. That was the end to the exodus of pastors out of the vineyard of the Lord! Baba’s reform dynamism was determined to push the NBC pastors and church workers to the utmost limit of their intellectual capacities. With the opportunity of an exchange programme established with the Quachita Baptist University in Arkansas, many NBC pastors were able to travel to the United States to further their studies. Apart from acting from a sense of appreciation for the impact of the Baptist Mission on his own intellectual and pastoral maturation, Baba Akande’s many reforms also possess a Pauline ingenuity, depth and fiery that delights in the increase of knowledge, and especially the increase of Christ’s knowledge “as the water covers the sea (Hab. 2:14). There is, however, another dimension of Pastor Ola Akande that may seem contradictory. On the one hand, his love for evangelism is unrivalled. Before becoming central to the administration of the NBC and during his tenure, Pastor Ola Akande was dedicated to extending the reach of the Baptist Mission wherever he went. Yet, he was also sufficiently humble to acknowledge the significance of ecumenism for the sake of religious peace and unity in plural Nigeria. An ecumenical orientation, I believe, demands a humility that seems to be beyond the reach of an ordinary religious mind. That orientation reaches deep into a tolerant desire to allow others hold on to their beliefs while actively pursuing your own proselytizing mission without any rancor. That is the beautiful spiritual mind of Baba Ola Akande. 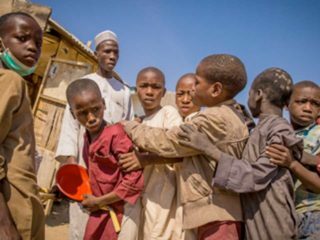 He is determined to be a part of the religious dynamics that brings to an end the religious acrimonies in Nigeria. We will therefore expect that the ultimate goal for a reform-minded clergy with the intellectual breadth and spiritual foresight of Dr. Ola Akande is to seek to occupy the highest position in Nigeria, the presidency. This reveals a lot about the personality of Baba. It tells us that even if his institutional church base sometimes panders to power and sits silently and quietly in the face of oppression and social injustice, Baba refuses to be so silenced. Yet, the Nigerian political dynamics and all its evil machination stopped Baba. 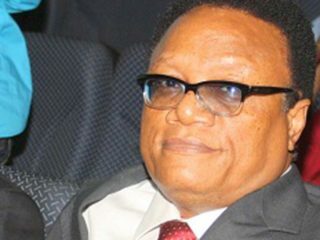 How would it had been if the man adjudged to be the “best Nigerian Baptist leader ever produced” had been allowed to test his godly values and strength of character in a land that needs a moral rebirth in the political space? Well, Baba is a nonagenarian now. And we are simply glad he is the bearer of a legacy that has more values than even any political offices.